Liberty Lagoon is the perfect place for you and your family to beat the heat! From big attractions like our shockwave or bowl slide to our children’s play area and splashpad, there is something for everyone at Liberty Lagoon. Splash into fun with us this summer! When you play with us, we want you to be safe. Please review our park rules before visiting. Come work with us this season at the coolest job in town! Click here to apply and review job positions. 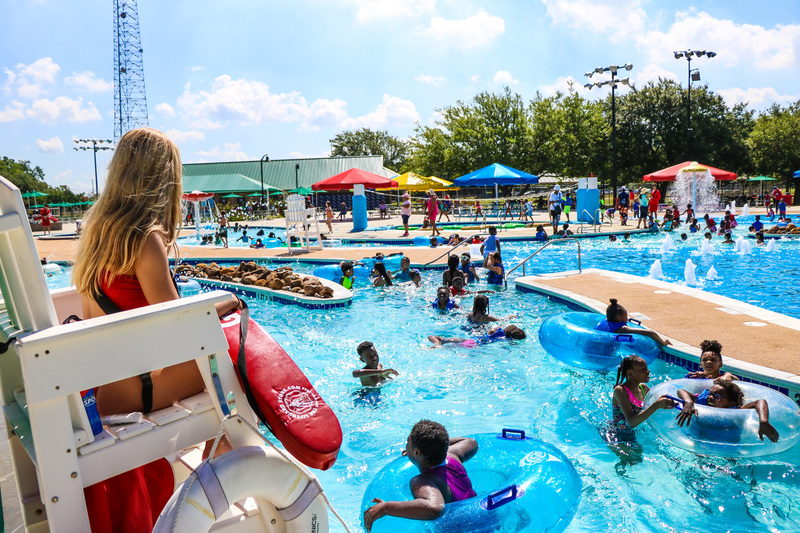 We proudly opened our water park in the summer of 2011 and delighted in the opportunity to bring a high-quality waterpark to the people of East Baton Rouge parish through the BREC Parks and Recreation system. Today, we have expanded our park offering additional amenities such as our celebrated Shockwave and additional tube slides. We also provide countless job opportunities, swim lessons and water aerobic classes and regularly service up to 500 people a day. Whether you plan on taking it easy on the lazy river or flying down one of our infamous plunge slides, we pride ourselves on being a family environment with something to do for every age and interest. Come and see us this summer!